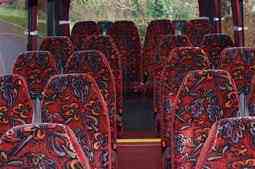 Welcome to Chester Coach Hire, the leading company for coach and minibus hire in Chester. Whether your trip is for business or leisure, we can provide you with all your transport needs to, from and around the historic walled city of Chester. Our fleet of coaches and minibuses is at your disposal, catering for small or large groups for single trips or extended periods of hire for touring.Our close proximity to Manchester and Liverpool also means that we provide the premium service for airport transfers in the Cheshire area. With a range of services on offer from door-to-door pick and up and drop off’s and certified drivers with many years of experience, www.chestercoachhire.co.uk is your one-stop shop for all your transport needs in Chester and the surrounding areas. Steeped in History, the Roman-built, walled city of Chester has the perfect mix of heritage and contemporary activities for visitors and residents alike. With Roman and Medieval architecture vying with cosmopolitan restaurants, bars and shopping centres, there are plenty of attractions close to the city centre for those who don’t want to travel too far. Chester Race Course, CH1, the oldest race course in Britain, is home to the Betfair Autumn Festival during September and hosts regular meets from May. During the last weekend in August, when it is not being used as one of the premier flat racing courses in the country, it hosts a re enactment of the Siege of Chester, the last major battle of the English Civil War. It also hosts Polo and other hospitality events throughout the year. 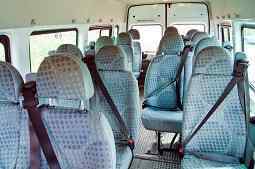 With several bars and restaurants to choose from, hiring a minibus with a driver is the best transport solution for visitors and residents. The inspiration behind the recent BBC Drama series Our Zoo, Chester Zoo, CH2, is home to over 12,000 animals belonging to 400 different species. Two miles from the city centre, this 125 acres of wildlife and biodiversity is George Mottershead’s vision of “a zoo without bars” brought to life. 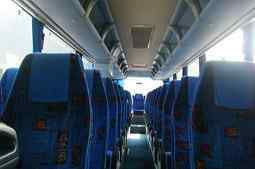 While there, you can hop on the monorail to get about but, to really make the most of your visit, book a minibus to bring you there and back in comfort. If shopping is on your Chester to-do list, a trip to Cheshire Oaks Designer Outlet, CH65, will have you snapping-up designer goods at up to 60% off RRP. Just a short drive from the city centre, this shopping heaven will see you bag bargains by the likes of Tag Hauer, Hugo Boss and Mulberry to name a few. If bargain hunting is your thing, talk to one of our customer service advisors about potential discounts and special offers. Attractions worth visiting further afield include The National Waterways Museum at Ellesmere Port, CH65; Ness Botanic Gardens at Neston, CH64 and the Outdoor Adventure Centre at Delamere Forest in Northwhich, CW8. At 25 and 32 miles respectively, the cities of Liverpool and Manchester are only a stone’s throw away, so that airport transfers for trips abroad couldn’t be easier. With easy access to Manchester International Airport and Liverpool John Lennon along the M56, flights throughout the UK, Europe and further afield are within easy access. This also makes Chester a convenient destination for international travellers and an ideal location for conferences. Fans of horse racing will be familiar with Chester Racing Festival, however we can also offer transfers to the bigger race meets nearby. With Haydock and Aintree only a half an hour’s drive away you have your choice of flat or hunt racing for a corporate day out for staff or clients. If you want to be really hospitable to your clients, book a coach and take them to the Crabbie’s Grand National Festival at Aintree in April. Tickets for the 2016 Festival go on sale on 3rd August and they sell fast! Chester is only a hop, skip and a jump from North Wales with all the beautiful Welsh countryside has to offer. If you’re hankering after some beautiful scenery, the seaside town of Colwyn Bay with the Welsh Mountain Zoo is only a half an hour’s drive by minibus or coach. For a more cultured excursion, 13th Century Ruthin Castle is home to a hotel and spa. With family fun days where you can partake in Falconry and Medieval banquets where you can dress up and feast on a traditional Hog Roast, a bus or coach to drive you home or back to your hotel will leave you in high spirits. Don’t just take their word for it. Give us a call and let us talk you through the services we can offer you.